We sometimes get the idea that the 1987 storm was a freak of nature. This is simply not true. 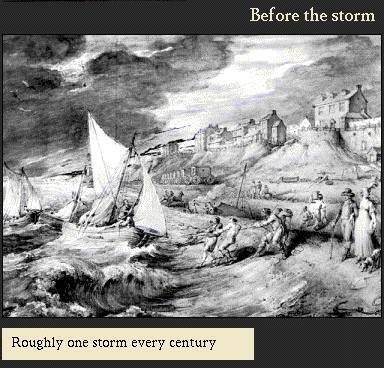 Storms have occurred roughly every hundred years for many centuries. Obviously, a hundred years is just longer than living memory, so any one person can only ever remember one major storm event. Very major storms happen perhaps every 200 years. The last really major one to affect the south-east of England went on for two to three days. I understand about six to seven thousand people were killed. 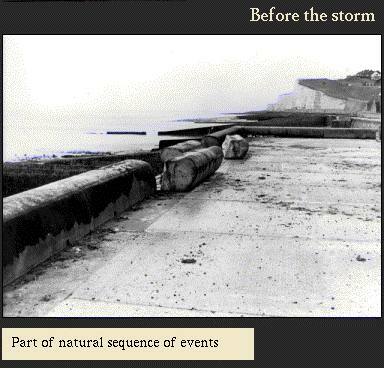 So storms have got a historical precedent, and part of the natural sequence of events. 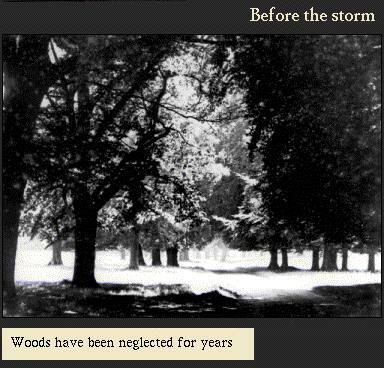 One difference between woodlands in the 1987 storm and woodlands in past storms is that a lot of our existing woodlands haven’t been managed for a long time, This is because the market for timber products has gone down. It is particularly the case around Brighton. A lot of the beech trees were planted about 150 years ago, so they’re all a similar sort of size and age. There is a category of tree that is very exposed to storm damage. Very old trees don’t suffer too much from storm damage. Very young trees are still too small. But in between, a full-grown, but relatively young, tree gets blown over quite easily. Brighton’s woods were at an age where they could more easily be blown over. The autumn of 1987 was very wet. There were floods everywhere. 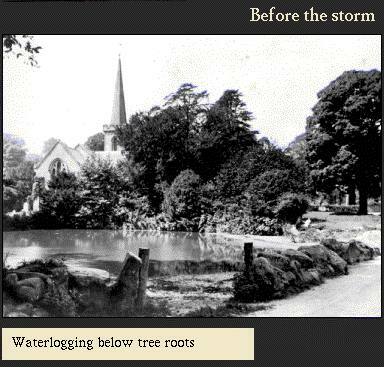 On some soils there was water-logging below tree roots (for example, around Ashdown Forest). Around Brighton, however, the problem was more that chalk soils are fairly unstable and beech trees have fairly shallow roots. 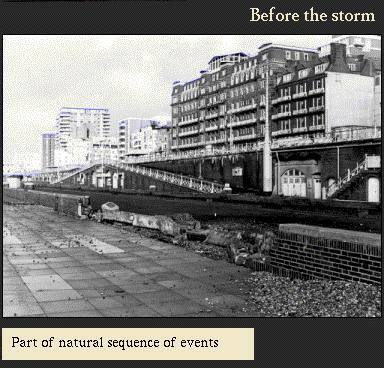 Beech is one of the more common trees around Brighton, so they blew over fairly easily. This is a very good web page and the whole website is very good. A great site all round. 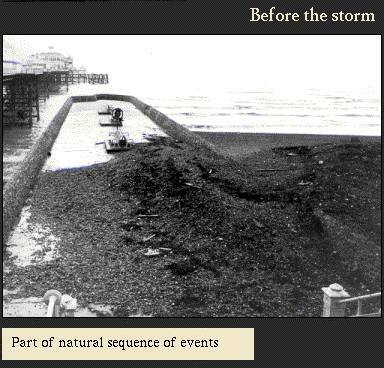 Just thought I would add a note saying I kept the Evening Argus ‘Hurricane’ pull-out they did with pictures and stories. You have a brilliant website and the pictures are amazing!! This page is very good, relating to my GCSE coursework, but more facts and figures would help. An interesting site, but could we please have details of the last major storm to hit the South East, as mentioned above? You have a brilliant website but the colours are really dull. Hi, I would like to see photos from the Argus pullout. I had five pics in it and need them!